Only a few more weeks until Election Day (8 May)! To all first-time voters who are daunted by the notion of voting, People's Assembly has created a visual representation of the voting process. It's really as simple as it looks. Happy voting! South Africans had a four-day window to object to a candidate on the lists of the 48 political parties contesting the 8 May elections. The party lists are available on the IEC website. South Africans have a four-day window to object to a candidate on the lists of the 48 political parties contesting the 8 May elections. The party lists are available on the IEC website. An objection against a candidate must be made by 5pm on Tuesday, 2 April. 18 & 19 year old registered voters doubled to 34%! In less than two months South Africans are heading to the polls. 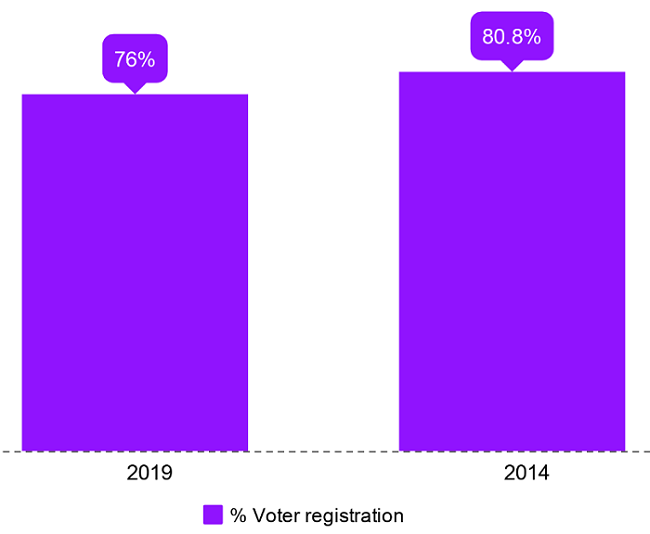 The voters' roll has closed and just over 26.7 million people are registered to vote in the upcoming elections - an improvement of 2% since the registration drives, but down almost 5% compared to 2014. How well do you know the Fifth Parliament? It's the National Assembly’s penultimate week. As a result, there is a bit of frenzy as legislation and important business that can be completed are rushed to the finishing line while other less urgent parliamentary business is dropped for lack of time. Since 1995, the Parliamentary Monitoring Group is enabling thousands of young people to go into Parliament and write detailed reports of the proceedings of the 50 oversight committees. Here are some comments from our monitors, interns and past alumni – even two MPs are former PMG monitors.